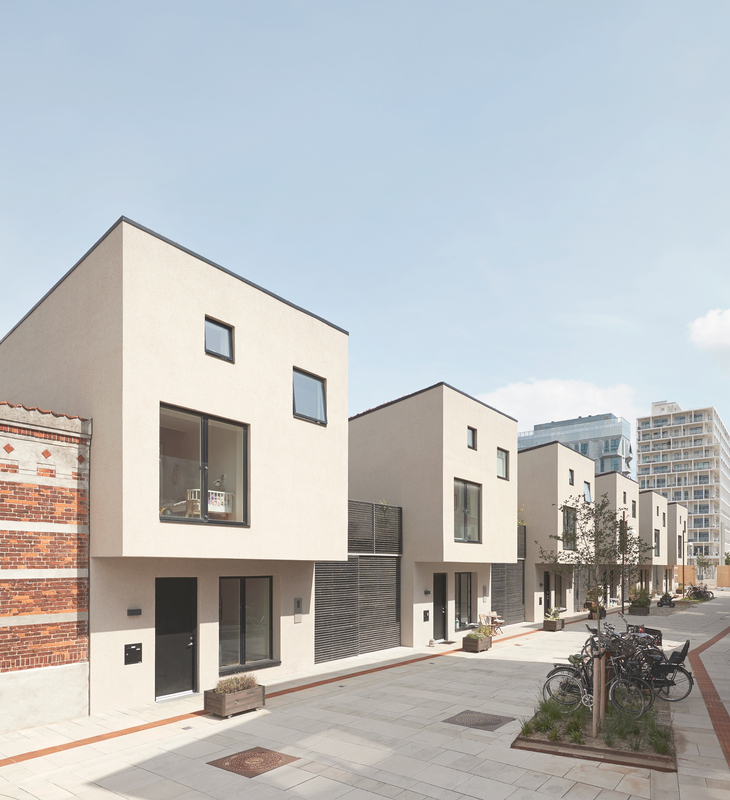 The courtyard houses in Nordhavn are a part of the new city housing quarter called Frikvarteret. 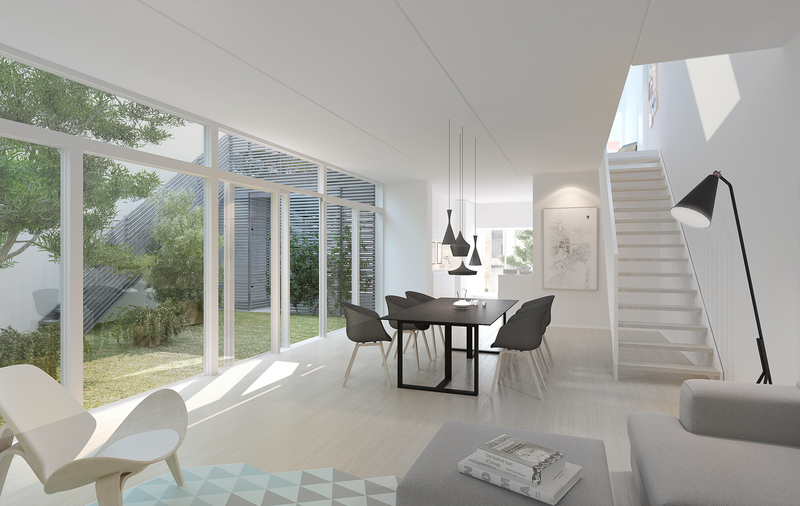 In the development of the new spacious and modern family houses the idea is to build on the already existing small scale structure. 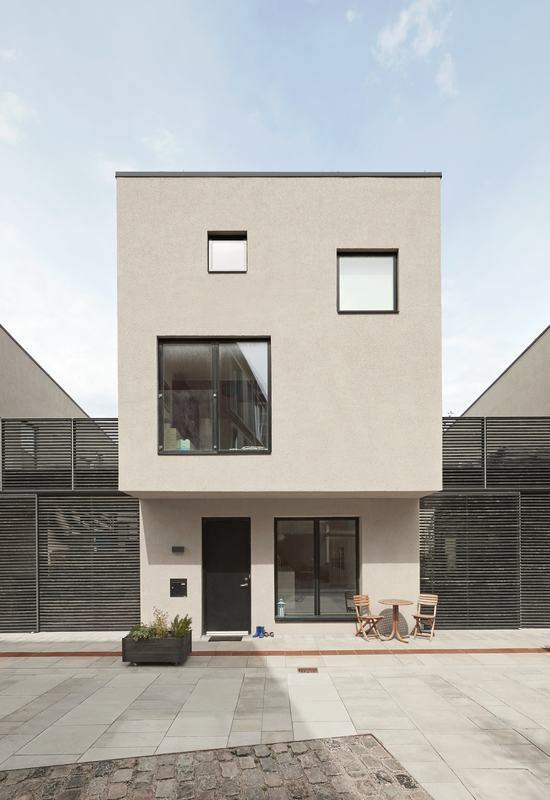 In Frikvarteret, 13 courtyard houses are built in two levels, which becomes a compressed and collected structure, in which the shape is made out of the existing gables. 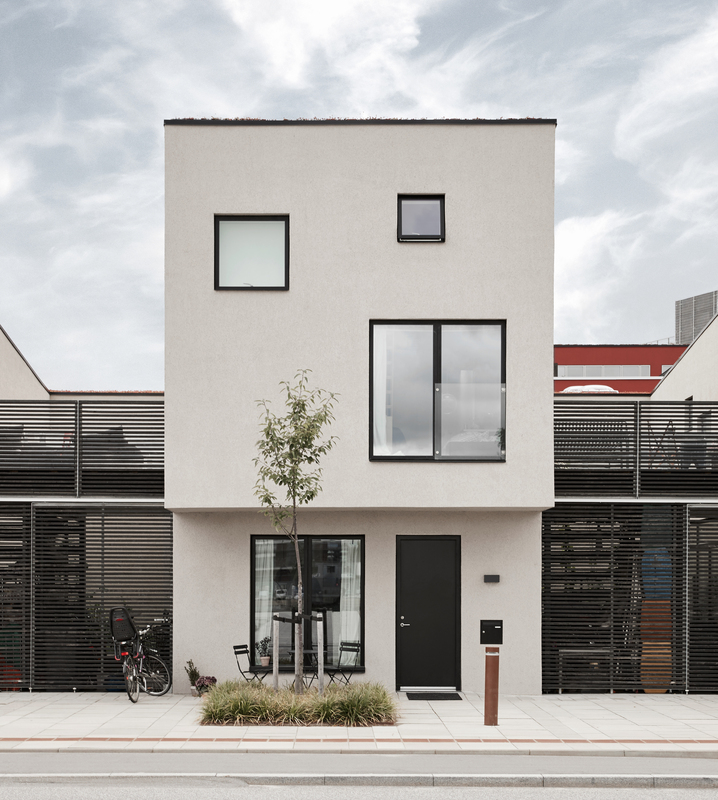 With Frikvarteret, a coherent neighbourhood has been created that takes advantage of the qualities which already lies within the area – both from a city as well as a landscape point of view.